Calp is one of the famous tourist destinations in the province of Alicante. Having a rich history and a home to different ancient civilizations, Calp entertains its visitors with beautiful sandy beaches, wonderful landscape, and huge mountains. The local foods and drinks will also take you into some other world. The city is widely known for its unique fish restaurants. By wandering in the streets of the city, you’ll witness lots of modern buildings and ample avenues alongside the historical fishing village. Tourism and fishing are the two main economic activities in the city. Having occupied and developed by different cultures, Calp has also become an ideal destination for archeology students. Located at the heart of Costa Blanca, Calp offers endless attractions that can refresh your soul, making your trip a successful one. Being a tourist magnet in the region, the city puts tourist requirements at first; serving them with all kinds of modern facilities. You can enjoy beautiful and quiet local beaches that depict the versatile Valencian culture. Since the city is located near to the coastline, it has always been a preferred stop by voyagers and settlers in history. Romans used it as a prosperous colony for their salting fish activities. Today, you can enjoy a wonderful natural landscape, the ancient town center, modern marina, and endless recreational activities in Calp. 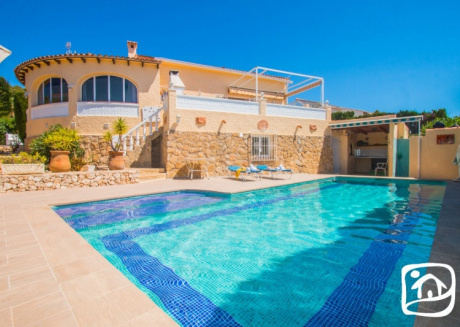 To accommodate both local and foreign tourists, it has got many big and small vacation rentals with adequate modern facilities. It’s a beautiful natural park in Calp that is considered as one of the best ones in the whole region. Offering you plenty of selfie options, it’s a fascinating geological formation that attracts thousands of tourists from different cities and countries throughout the year, particularly in the season of summer. The Penyal d'Ifac is actually limestone outcrop that emerges from the sea and is linked to the shore. After spending a comfortable night in our vacation rental, you can visit this park that is full of wonders for you. Other than the limestone outcrop, the park is famous for its rare plants and more than 300 animal species. The rock face of the park is also an ideal stop for lots of beautiful birds who come here from far and wide places to sing their songs. You will surely enjoy climbing around 332m high rock that is full of fun and adventure. The price of all your efforts happens to be the amazing view of the coast from the top. Better take enough food and water with you as the hike will make you tired soon. It’s the most famous beach in Calp that offers safe swimming and beautiful views of Calpe Rock. The nearby historical monuments also please tourist to a great extent. No matter you are with your friends or family, you’ll surely enjoy the visit to this beach. You’ll forget all your woes while relaxing at the golden sand or eating food at the waterfront restaurants. You don’t need to worry about the arrangements or facilities at the beach as it proudly bears the Blue Flag, the award that is given to the beaches that happen to be clean, safe, and offer high quality of services. There are lots of sea-facing vacation rentals that you can book through us. We can provide you highly-facilitated vacation rentals at Arenal-Bol Beach at quite affordable rates. Shallow water, calm sea, small waves, and paddle in the calm – you shouldn’t miss the beautiful place on your visit to Spain. It’s a unique place that you can’t find anywhere else in Spain or any other country. Cala La Manzanera is a combination of some colorful masterpieces on a small bay. These masterpieces were created by Ricardo Bofill who is one of the most famous international architects. The environment at this amazing place is quite seductive and the views of the unique buildings by Ricardo Bofill are also worth watching. The colorful, classic, and geometric designs of the buildings attract thousands of tourists at this bay in a year. CuddlyNest can provide you vacation rentals near this bay also. This tower was used as a defense wall for the city of Calp in the 13th and 14th centuries. ‘La Peca’ was a piece of artillery that was installed in the tower to protect the city from invaders. Today, it is one of the most famous monuments in Calp that is visited by local and foreign tourists every day. The double wall belt completely surrounded the city from attacks by pirates that were common in those days. There was only a gateway called ‘El Portalet' through which the people from neighboring cities could enter. You can also visit the Peca Tower Museum to see things that date back to ancient times. CuddlyNest is a reliable platform to find highly-facilitated vacation rentals at affordable rates. Having a professional team of travel experts, we work from different cities and countries to provide you better facilities at affordable rates. We understand how important is to have a luxury vacation rental to stay and relax on a trip. 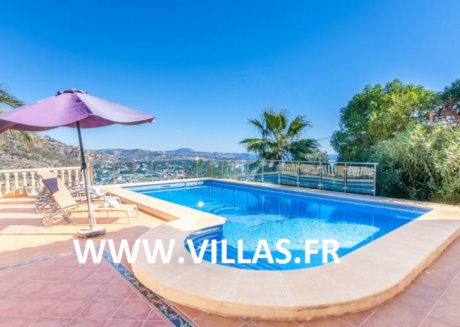 Therefore, we make it easy for you to book your favorite rental properties even prior to arrival in Calp and any other city in Spain and many other countries. We provide all kinds of vacation rental including houses, apartments, villas, condos, cabins, and others. Our online booking process is also quite easy and it takes a few simple steps to book your place. 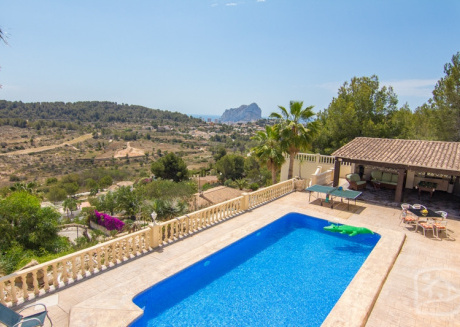 In case you are a host and own a property in Calp, we offer you a great opportunity to earn much more as compared to other vacation rental platforms.